Believe it or not, the title of this article is not just an attention-seeking device. In fact, it’s a true statement, and the baby boy in question grew up to become my husband, Bill Atkinson. Today, I’m asking for help from the blogging community and anyone else who might be able to help us spread the word and finally get the answers we’ve been seeking. Please understand that this is not a regular blog post; rather, this is a genuine plea for your help. I know it’s outside of my usual scope, but rest assured that I’m not asking for money or even much time – just for a little help to spread the word about something that’s really important to me, and something that, after more than a decade, I realized that I can’t do alone – it’s going to take a village (or two) to get this one done. The love of my life: the reason for this post. You see, a few months after I met my husband, he told me this amazing story – one I didn’t quite believe at first. It turns out he was abandoned at birth – and not at a hospital or fire station, but in a telephone booth at a gas station one June morning in 1972. My husband has obviously been curious as long as he’s been aware, but it wasn’t until we got together and had our first child that we really started digging. To be honest, it was mostly me at first. After looking at my own baby boy and realizing he probably looked very much like his dad did at that age, I felt compelled to start searching. To date, we’ve had no luck finding a mother, father or siblings, but we have found some second and third cousins, thanks to DNA testing. 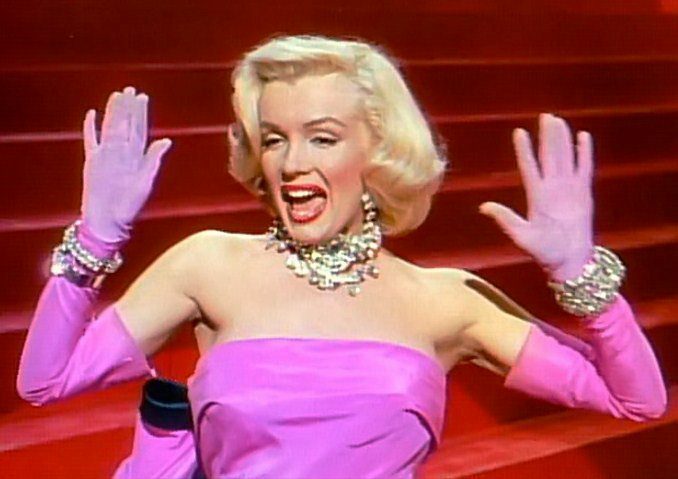 Speaking of DNA testing – let’s discuss the Marilyn factor. So yeah, I have a good excuse for including this gratuitous Marilyn photo, as well as for the title of this post. Anyway, I recently wrote an open letter to his birth mom, from mother to mother, and I’m really hoping she will see it. If you read this and you’re not her, and you don’t know her, could I ask you for a favor? Would you please share this post with everyone in your own network and help me to get the word out? Thanks in advance. If you are her, or if you know her, please, please read this letter and consider reaching out to us – you can email me personally at angyatkinson@gmail.com – please use the word “adoption” in your subject line so I don’t miss it! Here’s the letter I wrote to Bill’s birth mom. You or someone you know left your beautiful, healthy baby boy in a phone booth at 7-Eleven on Metropolitan Ave. in Kansas City, KS, sometime before 9 a.m. on June 7, 1972 – presumably after giving birth to him up to 12 hours earlier on June 6, 1972. See, I’m the mother to your grandchildren, the ones you’ve never even met and probably don’t know exist. They are both strong and smart and amazing, by the way – good genes, right?That baby you had grew up to become my husband, and because of that, you and me? We’ve got some things to discuss. Before we go on, I want you to read this quote I just found, because it very much sums up how we feel about you and what you did for Bill – we are so grateful! My husband was adopted by an amazing family called the Atkinsons who have been nothing but loving and wonderful for his entire life – he can’t complain about his beautiful, storybook childhood (outside of the fact that his dad died when he was 12 and his whole life forever changed – his mom was pretty awesome and he never knew that she struggled at all). He weighed just under 6 pounds when he was found, and he had blue eyes and probably not a whole bunch of hair. We’ve never seen newborn pics, but based on the two babies we’ve had together who look so much like him, I’m guessing he had a little bit of blonde fuzz for hair around then. If you’re the mother (or father, or other interested relative) of this adoptee, my husband Bill, you should know some things. First, we are not out to disturb your life, and we’ll keep your secret if that is what you want. We are not trying to “find a new family,” though we’re not opposed to keeping the lines of communication open and possibly forming some relationships, if you want that. But if you don’t want that, please, understand that we won’t push anything, ever. I can imagine how scared you must have felt to do what you did. I know you were holding an amazingly gorgeous child in your arms, and I know you didn’t want him to be hurt because you made sure he was found fast. I am pretty sure you may even have called the “abandoned” baby into the police station yourself, though I could be wrong. I do know it was a woman who called it into the station and that the police never spoke to her (according to what I’ve learned up to this point). Maybe it was your mom, or your friend, or your big sister? Maybe you were told your baby died or that he’d been taken somewhere else. I don’t know, and honestly, it doesn’t matter. I think you probably did what you had to do at that moment in your life, and I hope that you think about that baby on the regular – because I promise you, he’s thinking of you – and for the last almost 15 years, I think about you too. As the mother of your grandkids and the wife of your son, I want to meet you. I want to know your story, and I want to look into your eyes and let you know that EVERYTHING IS OKAY NOW! We are happy and healthy, and we aren’t out to settle any score or cause any drama in your world. We just want information, and we’d like to have it before it’s too late. See, Bill is 42 now, and his beloved (adoptive) mother passed away in December 2013. We are not trying to replace her (it would be impossible – she was an amazing and beautiful woman, inside and out), but in our grief, we just realize that NONE of us are getting any younger, and basically, it’s now or never. I am asking you, MOTHER TO MOTHER, to please, please just reach out to us and tell us Bill’s story – your story. Please help us understand what you were dealing with, and just allow my husband to have some closure, at the very least and some information. My children are beautiful, and they don’t look much like me. I’ll bet you’d recognize the adorable dimples my daughter has or the curly hair they all sport. Maybe you’ve looked in the mirror or in the face of another one of your kids and seen those beautiful turquoise-blue eyes too? 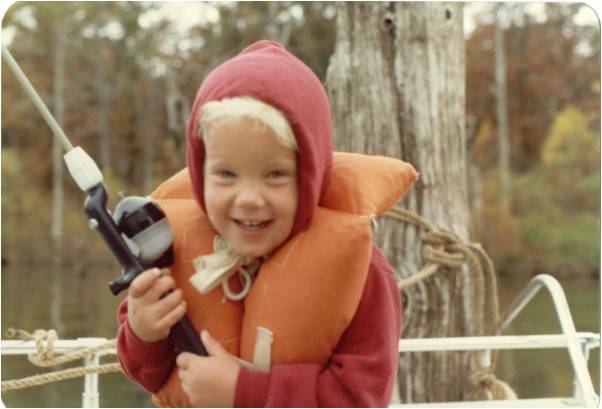 Bill was born with a condition called amblyopia (also known as “lazy eye”), but it was corrected early in his life and he doesn’t struggle with it today. Other than that, he is 100 percent healthy. He is smart, strong and a great dad. We aren’t in need of anything from you as far as money or significant time or anything else – we just want information and if that’s all you can give, we will gladly take it and be on our way – we won’t even ask to meet you if that’s what you want (though, to be honest, we would absolutely treasure that opportunity, if it should present itself!). Listen, I just need you to know that Bill doesn’t hold any anger or hate for you in his heart. Mostly, he’s curious, though I know it means a little more to him than he’s letting on. Please, if you’re out there, or if you know someone who can help me figure this out, please reach out to me at angyatkinson (at) gmail (dot) com and let’s put this mystery to bed. We will let you lead the way from there – maybe just allow us to ask a few questions via phone or email and if you want to leave it at that, we can do that. We recently took our story to social media with this photo. The message is a basic rundown of Bill’s story and reads as follows. My name is Bill Atkinson. I was born June 6, 1972. I was found wrapped in a towel inside of a phone booth at 7-Eleven on Metropolitan Ave inKansas City, KS. Friends, I need your help. As many of you know, I was abandoned at birth and found hours old in a telephone booth at 4039 Metropolitan Ave., Kansas City, KS. I was born at approximately 3 am on June 6, 1972. I was found at approximately 9 am the next morning. My wife Angie and I have been searching for years and after a recent DNA test, have located second, third and fourth cousins. 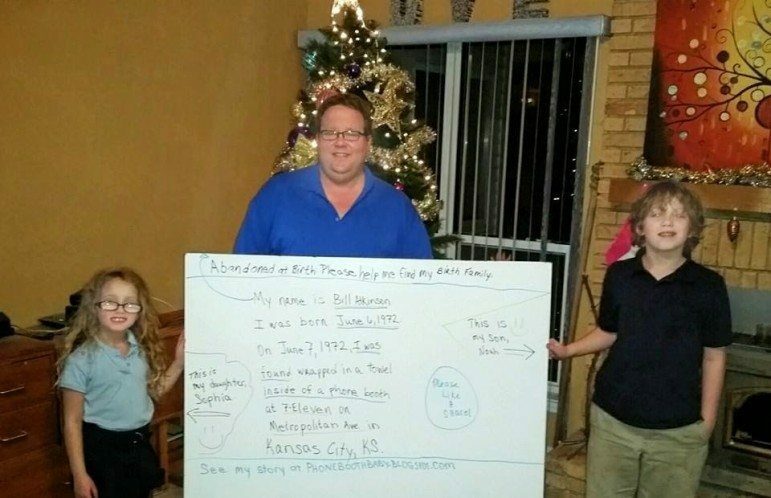 My story has been covered by theKansas City Star and the KC Times, among others, and my wife keeps a blog with our story at http://phoneboothbaby.blogspot.com/ You can help by liking, sharing, tweeting, Instagramming and otherwise passing this post along. To my birth family, I have been blessed with a wonderful loving adoptive family and I don’t want anything from you – just information and maybe the opportunity to meet. Thanks in advance for your help. In case you’d like to know more about our story, here are a few quick links to get bring you up to speed.